eFirst has added iPhone development to its list of services and have now published four successful iPhone applications with another three in development. 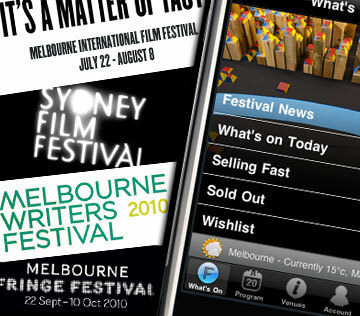 We featured several significant Australian firsts with our first iPhone application released for the 2010 Sydney Film Festival including allowing patrons to purchase and receive tickets on their iPhone. (See http://www.filmink.com.au/filmbiz/notice/2358/ for further information.